Trimble announced the launch of a new model of its premium Global Navigation Satellite System (GNSS) receiver, the Trimble® R10 Model 2 GNSS System. Designed to help surveyors in a wide range of industries work more effectively and productively, the Trimble R10 Model 2 enables reliable, fast and accurate collection of survey data in the field. The latest and most advanced custom Trimble survey GNSS ASIC with an industry-leading 672 GNSS channels for unrivaled GNSS constellation tracking, including GPS, GLONASS, BeiDou, Galileo, QZSS, IRNSS as well as the full range of SBAS. The Trimble R10 Model 2 tracks and processes all of today's available GNSS signals and is designed to support planned GNSS signals and systems that may be launched in the future. The new features build on the Trimble R10's core technologies, which include the cutting-edge Trimble HD-GNSS processing engine that enables points to be quickly measured with confidence, Trimble SurePoint™ technology for precise positioning capture and full tilt compensation, Trimble xFill® technology for centimeter-level positioning during GNSS outages, and support for Trimble CenterPoint® RTX corrections for RTK level precision worldwide. The Trimble R10 Model 2 supports the recently released Trimble TSC7 controller and Trimble Access™ 2018 field software. The Trimble R10, in combination with the TSC7's large 7-inch screen and faster processing power, plus Trimble Access 2018's new user interface and graphics capabilities, gives surveyors a superior, comprehensive solution for collecting and computing data in the field. "These improvements ensure the Trimble R10 remains one of the most current and relevant GNSS survey solutions on the market today," said Olivier Casabianca, director of global marketing for Trimble Geospatial. 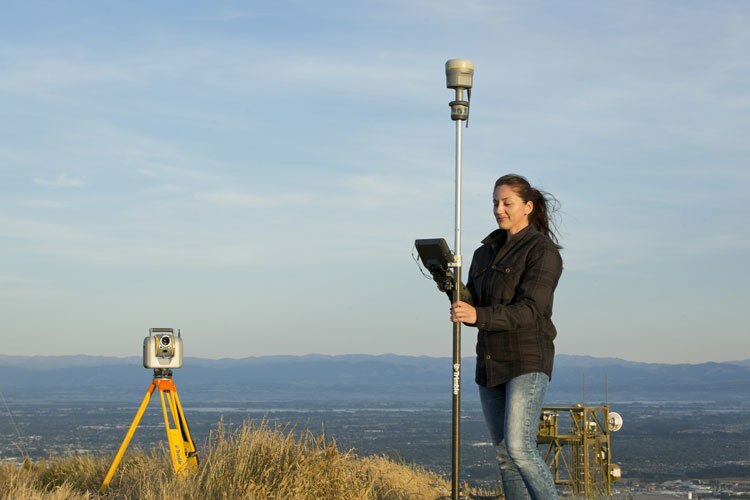 "By providing a powerful rover system such as the R10 Model 2, TSC7 controller and Access 2018 field software, Trimble continues its legacy of unmatched GNSS expertise and knowledge to advance the capabilities of surveyors around the world." The Trimble R10 Model 2 GNSS System is available now available at GISsat. Contact us for more information. This is an edited extract of an article that first appeared as a Trimble News Release.